With it being winter, the air is so dry and perfect for static electricity. While it is usually really annoying, shocking you after walking across carpet and making your hair fly everywhere, it is also a lot of fun to play with. We did a couple of little experiments to demonstrate electricity to the girls. 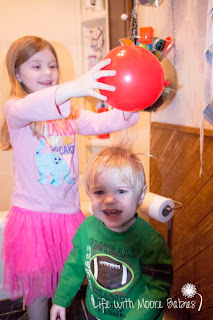 Of course in the process of doing these, we did the typical static electricity experiment of rubbing balloons on your head and seeing what happens to your hair in the process! 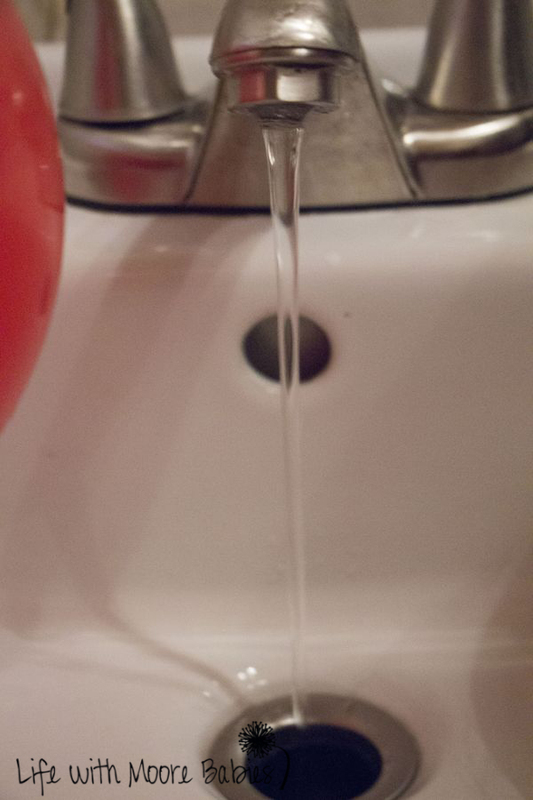 The first was using a balloon to bend water. Now a balloon on its own cannot bend water, but it can with the addition of static electricity. Turn the water on to a fairly low but constant stream, rub a balloon on someone's head, and slowly move it toward the water. 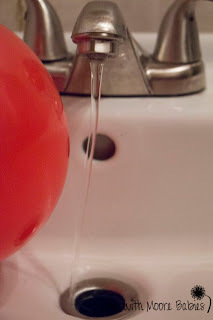 The water moves toward the balloon! 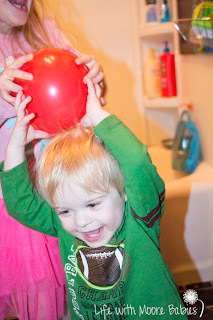 The second experiment we did was making a light bulb spark with a balloon. You have to be in a very dark area (we used a closet) to see the quick spark. Start by rubbing the balloon on someone's head again. 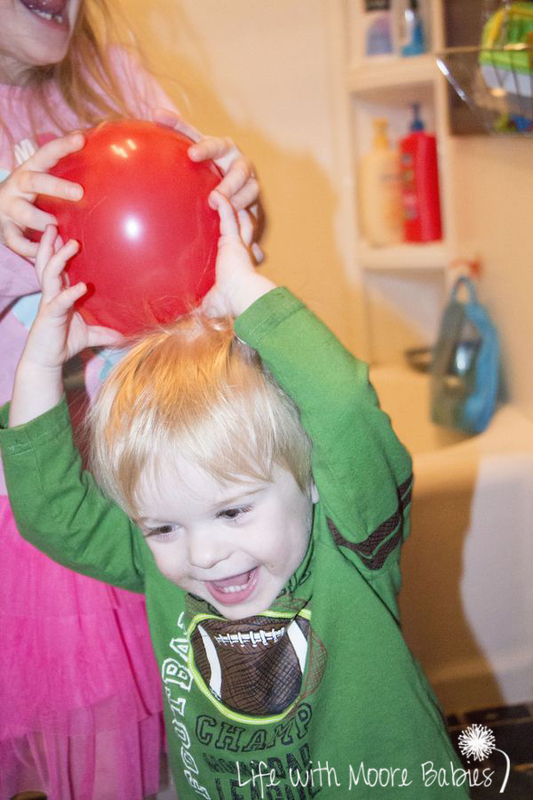 Touch the balloon to the bottom of the light bulb. Don't blink when you touch them or you will miss the quick spark in the light bulb. Out of several attempts this is the only video we got anything on. Seriously, don't blink or you'll miss it! This amazed the girls over and over! 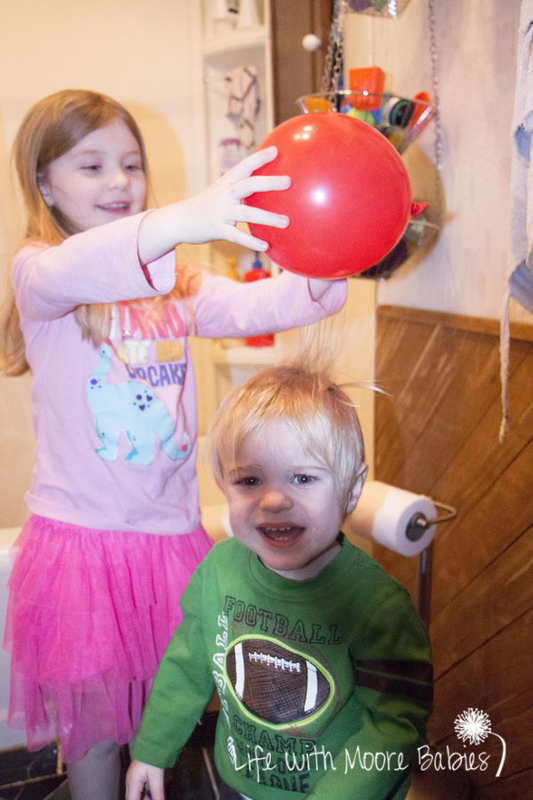 My girls are obviously too young to know anything about atoms, but if you have an older kid you can explain to them the static electricity is caused when the electrons become imbalanced and therefore the object has a charge. It is then attracted to things with an opposite charge or things with no charge, so they move towards each other (like the water). But it moves away from things with the same charge, so after rubbing a balloon on your head each hair is now charged and stands on end trying to move away from the other hairs. 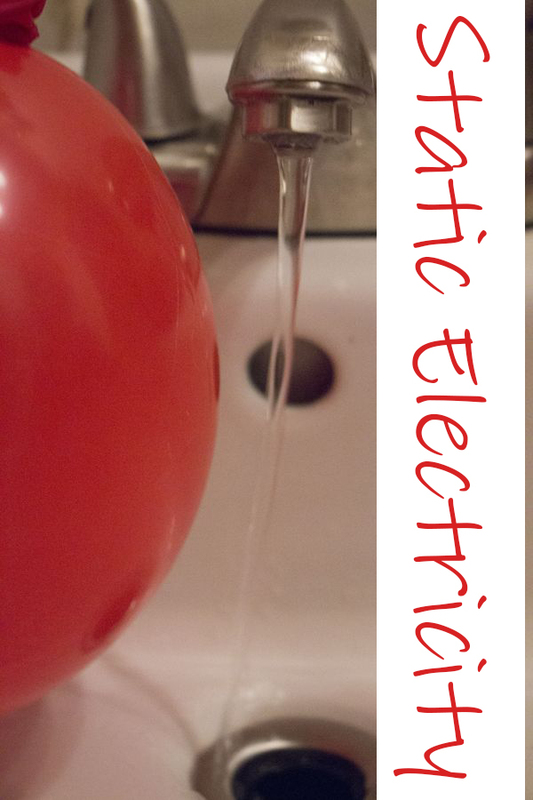 If the charged item touches a conductor, like the light bulb, a transfer of electrons occurs and you have a spark or a shock if the conductor happens to be a door knob or something else you are touch. For now I am just happen for the girls to see the power electricity really holds! We found another super fun way to study static electricity with salt and pepper.